A dizzying knock-up punch to the head of your most hateful boss or supervisor will surely give you a smug sense of satisfaction. Wii Everlast Boxing Gloves pack such a punch that donning them will let you imagine yourself in a ring with spotlights overhead and sweat dripping down your neck. An improvement to the Power Glove offered by Nintendo in 1989 which did not lived up to its promise and was difficult to use especially in games such as Mike Tyson’s Punch-Out! 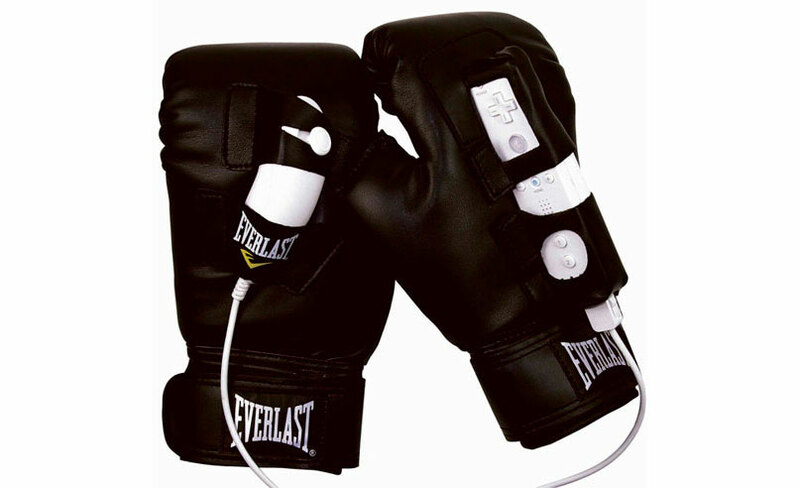 Wii Everlast Boxing Gloves are made of real synthetic leather with straps for the Wii remote in range of the Wii sensor. The design of the Everlast Boxing Gloves offers more comfort and dexterity with an opening for fingers to control buttons more easily. The gloves offer a more enjoyable virtual boxing experience.